One week after completing a round of low-band LTE upgrades, T-Mobile says that it’s rolled out some mid-band LTE upgrades as well. 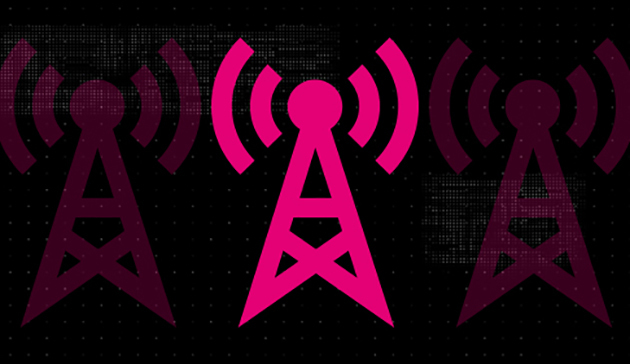 T-Mobile CTO Neville Ray today confirmed that T-Mo has upgraded hundreds of cell sites with more mid-band LTE capacity in the past two weeks. These upgrades include PCS and AWS spectrum. These upgrades are spread throughout the U.S., with states like California and Massachusetts getting a large number of upgraded markets. Some of the cities and towns included in this latest batch of upgrades include Mobile, AL; San Diego, CA; New Haven, CT; and Olympia, WA. You can find the full list of markets that received mid-band LTE upgrades below. Ugh, just Nashville, TN? West TN needs better coverage. A lot of these upgrades are only marginally going to improve coverage and are more for adding capacity. Not sure when 600mhz gets to west TN but by 2021 it should cover the whole country. These announcements are for increased capacity, not coverage. Although service might improve slightly near the edges of coverage with capacity improvements. That place is a sh*th0le, confirmed. is Midband 600 or 700? Neither, I believe those are classified as low band. Midband for T-Mobile generally refers to bands 2 and 4, so like 1900/2100mhz type frequencies. PCS is 1900MHz, AWS is 1700 for the uplink and 2100 for the downlink. Mid-band is bands 2 (1900MHz), 4 (1700/2100MHz), and 66 (1700/2100MHz, extended replacement of band 4) on T-Mobile. Bands 12 (700MHz) and 71 (600MHz) are low-band. One town in my state, hardly worth even mentioning. They own a huge amount of bandwidth of the 600 MHz here but haven’t increased it beyond 5 MHz since it was installed, so increasing that would be an upgrade that brings REAL noticeable results. Launch the bare minimum so you can claim coverage, then maybe (probably not) come back years later and increase the bandwidth a tad, that seems to be the modus operandi. Bragging about owning 40 MHz of bandwidth while only using 5 MHz of it does not benefit customers or put the spectrum to proper use. You don’t mention which area, and you’re not even close to on topic. This list is for mid-band, not low band. Go to Spectrumgateway . com / 600-mhz-spectrum to see when your area will be transitioning. The transition started September 14th – prior to that, it was only deploying sites where the bandwidth was unused. Also of note, one city listed today doesn’t mean much; these upgrade lists come out several times a month. For example, nothing listed today in Minnesota, but they’ve done many sites here already on previous rounds. A thousand apologies for being so impertinent and vague. State involved: Oklahoma. The one location upgraded: Ardmore. Only one city was upgraded in the last round as well as noted in a previous post on this site. Low-band 600 MHz was launched here 8 months ago as it was in the entire western half of Oklahoma, to complement their existing mid-band spectrum that was re-farmed from 2G/EDGE to LTE 3 years ago. Unfortunately data rates are not a bit different from what they were when they only utilized their mid-band spectrum. Therefore, my overall point is that there are plenty of places where these spectrum launches and additions have done nothing to improve service. Just because they have “upgraded” a particular site does not mean that actual service has been improved. You will notice that no number of sites, bandwidth utilization or data-rate numbers are ever provided in these press releases. Oh, good. Sarcasm. I was worried we were going to be mature here. The thing is, unless all you want to do is whine, more information is always better. Now that you’ve provided some, I can give you some more detailed information in an attempt to help (I can’t do anything about your speeds, but I can at least try and give you as much information as is available). Most work in Oklahoma will occur in Phase 2, with another small deployment in Phase 10. Phase two is from December 1st to April 12th (2019). Phase 10 doesn’t begin until May of 2020. Again; these are for low band, which will affect coverage distance, much more than speeds. The site I listed above gives much more information – including the television stations that must abandon the band before T-Mobile can use it (which should give you a very good indication of location and coverage area). I do not really care about schedules, I am more concerned with real-world effects of these “upgrades”. What are they? Are they increases in the number of sites in a referenced city? Are they increases in utilized bandwidth since they have quite a bit to work with, at least in the case of low-band? Are they re-farmiing mid-band spectrum from 2G/EDGE or 3G/”4G”/HSPA-to-LTE? Are they increases in the amount of backhaul at individual sites? Are they upgrades in radio equipment or antennas at a site or multiple sites? Just to say “upgrades” have occurred means literally nothing. Just exactly what did they do in Ardmore, Oklahoma to improve service? Answer: We literally have no idea what they did or what effect it has had. Scheduling for the band 71 rollout is very pertinent to your complaint about the band 71 rollout. As the article said, this upgrade announcement is for increased capacity. Also, this is likely refarmed spectrum from 3G (UMTS, HSPA+) which is extremely wasteful compared to LTE. 2G (EDGE) resides in the guard bands (space between blocks of spectrum) on T-Mobile and doesn’t effect the use of spectrum for things like LTE and 5G so there’s nothing to refarm. I’m in MA, and I can confirm that they’ve added it to a bunch of towers here. A couple of months ago when my town was in the list, I saw that band 2 was added to exactly 1 tower, and couldn’t find any others around. However this most recent update confirms what I had noticed last week – I know specifically of at least 6 towers nearby with band 2 now. I keep seeing these announcements but they don’t include any real information. I assume this is a re-farm of some sort in the 1700 and 1900 range but what? They can’t still be converting from EDGE can they ? And point is? Remember it is not Edge,it is Hign Speed Edge!!! I have to agree here. 2G shutdown was actually RUMORED to happen by April 2019, in all areas, but then I’ve seen Jan 1, 2019…and a few other dates. I wish someone high-profile would ask someone flat out, okay, what about the areas with 2G only, now that everywhere else has 5G? Will it finally be upgraded to at least HSPA+ speeds? Or will it be like Verizon’s 3G network in 2016 lol, struggling. Could barely get above 1.5-2 Mbps, and that was on a wing and a prayer. I agree though, rural areas are rare to see anything beneficial and they need assistance too. I would like to know more detailed info also, it’s intersriint to know. Supposedly, the only thing ESGE is going to be used for going forward is IoT (Internet of Things). Narrowband LTE (LTE in the guard bands; the space between blocks of spectrum) is being used for IoT, EDGE is too old and inefficient. EDGE is only used in the guard bands (space between blocks of spectrum) on T-Mobile so it doesn’t really effect spectrums’ use for things like LTE and there’s nothing to refarm. Refarmed spectrum comes from 3G (UMTS, HSPA+) which is extremely wasteful compared to LTE and 5G. Seems like they’ve been adjusting some spots in St. Cloud, FL. I’ve noticed by 13th st & Neptune rd faster data speeds. Also some increase on Old Canoe Creek and Deer Park. Hope they continue this all over the city. What I am wondering, all this talk about 5G being deployed soon, but so few cell towers have tri-band/quad-band carrier aggregation. If LTE was at it’s full potential, each and every cell tower would be pumpinp out 50-200+ mbps. “Until every cell tower has low band 600/700mhz AND either a high/mid band 2100/1900mhz mixture, tmobile will not compete with Verizon or Att on coverage/speeds. Orem, Utah, nice! Although it must be in the outskirts of town because in the main part I get 140Mbps+ sometimes on my Pixel 1 5″ but hey, we’ll take it! Hey! Charlotte! Now move a little to West some more, Neville! Wow, I have gotten 200+ in Houston, but never 220mbps!!! That’s amazing. But like I said in another comment, it’s too bad 100-200mbps speeds aren’t on each and every cell tower. At least that isn’t the case here in the Houston area. . . I never see New Hampshire in any of these mid-band or low-band lists.